“Gratin” is a common cooking practice in France for when an ingredient of some sort (whether it's a courgette, cauliflower, aubergine etc) is baked or grilled, then topped with a browned crust usually involving cheese, eggs and sometimes breadcrumbs. In French, “gratin” comes from the verb, “gratter”, meaning, “to scrape” or “to grate. The term “le gratin” signifies the “upper crust” of Parisian society. This courgettes gratin recipe is simple to prepare and very easy on the palate. For vegetarians, it is advisable to check the cheese used does not contain any rennet or enzymes and to ensure the vegetarian version is used. 2. Slice the courgettes to around 2cm thick slices and season with salt and pepper. 3. Boil water in a kettle and put in a saucepan, add sliced courgettes and cook on high heat for around 15 minutes. 4. Drain the water and put the sliced courgettes in a sieve; sprinkle some salt on them to drain the water more. 5. Peel and chop the garlic and mix this with the sliced courgettes into a pyrex. 6. In a separate bowl mix the creme fraiche with the egg then pour this mixture over the courgettes in the pyrex. 7. Add the chopped parsley to the pyrex. 8. Sprinkle the grated nutmeg over the mixture in the pyrex. 9. Season mixture with salt and pepper. 9. Add the grated cheese over the mixture last. 10. Grill for 15 minutes (alternatively you can bake in the oven at 190 degrees for around 40-45 minutes until the top is golden and crispy). 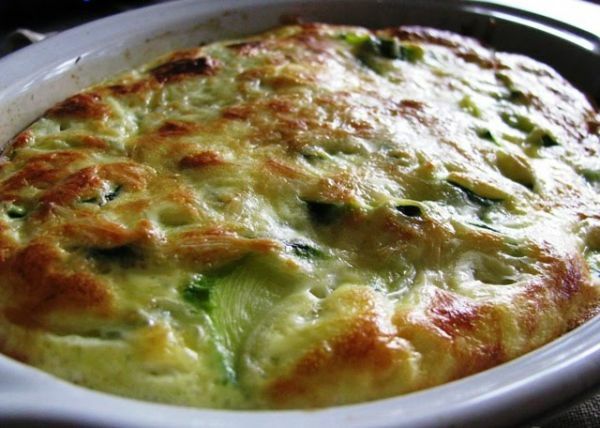 Courgettes gratin can be eaten as a main course or served as a side to a main dish like roast chicken.